I have ranted about CARB (California Air Resource Board)-Compliant gasoline containers before and in the past few months, I have leaked and spilled more gasoline from the cheap spouts on these cans, and in turn polluted the environment far more than I ever would have with any conventional gasoline container. This is clearly a case of a negative result from a poorly conceived regulation. Ostensibly, these containers were designed to exchange the gasoline in the can for an equal volume of air in the receiving tank. 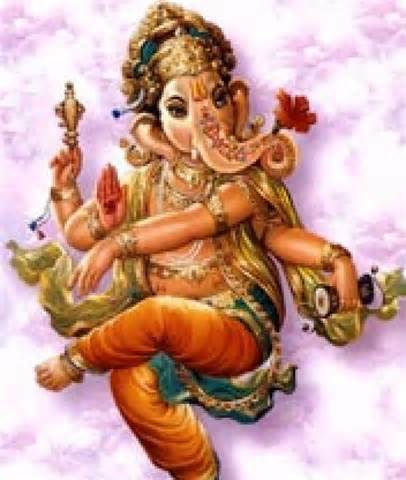 The vent is no longer a separate opening but is contained within the spout itself. The failure of the system, is that most of these overly-complicated spouts are built so cheaply that they fail to operate properly and require more than two hands to operate in any reasonable manner. 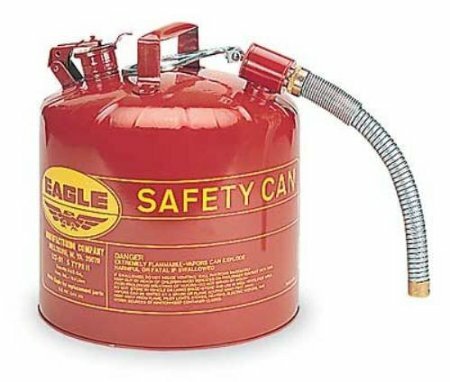 So I recently spent $65 on a 5-gallon Eagle Type II Safety can. This can is a brute and doesn’t have any poorly-engineered CARB-compliant features. These are made in Wellsburg, WV – only a few miles from where I was raised. They are powder-coated galvanized steel and are seamless around the circumference. I haven’t put the new can to the test yet, but I think I’m going to like this one with its heavy-duty flexible metal spout and separate vent. 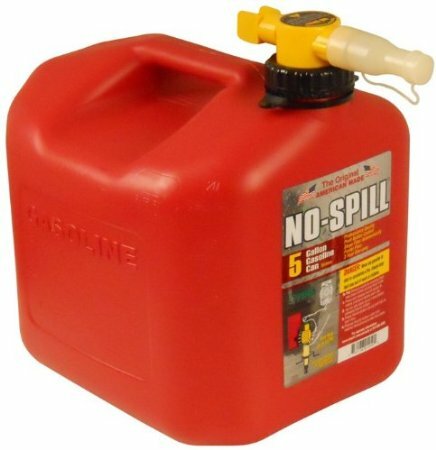 I also purchased a No-Spill brand plastic 5-gallon can for $33. While this is still pricier than the types you find at the local discount house, it seems well-designed, is CARB-compliant, US made and has a dispensing spout that appears rugged and well-engineered. So I spent an outlandish $100 dollars for two 5-gallon cans. 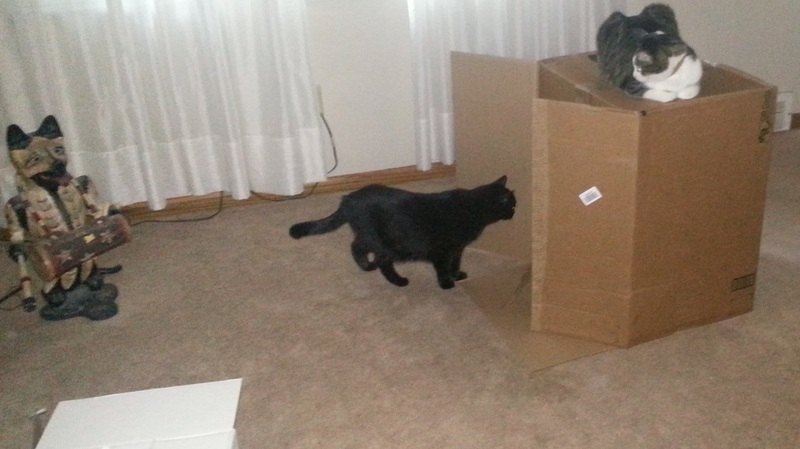 Soon I will be testing both of these -- the cats have already been in the lab for hours testing the shipping boxes and I’m waiting for their report before I proceed.